The University of Gothenburg soon will have its first autonomous underwater vehicle for research use. This will make it possible to conduct detailed studies of the seabed at great depths and track the climate thousands of years back in time. After more than two years of preparation, the University of Gothenburg has signed a contract that will make Sweden's first autonomous underwater vehicle for research use a reality. "This underwater vessel will enable us to do research in areas that we have been unable to reach so far, such as underneath glaciers in Antarctica that are 500 metres thick and beneath the Arctic sea ice", says Anna Wåhlin, a professor of oceanography at the University of Gothenburg. The vessel is known as an AUV, Autonomous Underwater Vehicle. 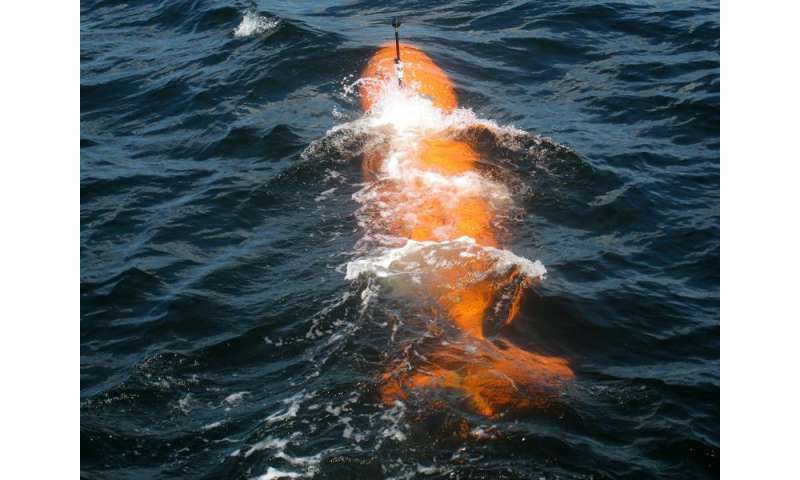 It is an unmanned, autonomous submarine equipped with a range of instruments and sensors capable of mapping the marine environment and measuring the ocean's chemistry, physics and biology. With the craft, detailed studies can be carried out at great depths in the oceans. The submarine operates independently and can be sent out on missions under the control of a mothership, where scientists can also be working on other investigations. "To measure the marine environment to the extent necessary for understanding how the ocean works, we must make use of autonomous observation platforms on a much larger scale. Future research vessels will serve as motherships for many different autonomous vehicles, with our AUV being one of the largest and most complex." The new underwater vessel will be able to descend to a depth of 3,000 metres and cover a range of about 200-300 km. It is equipped with a new state-of-the-art navigation system that makes it possible to operate for long distances under water and simultaneously know where it is, a major challenge for craft below the surface of the ocean since signals from satellites or GPS cannot penetrate water. It is equipped with instruments that can be used to survey large areas of the seabed and ice in great detail. It also will have sonar that penetrates the floor of the ocean and reveals the nature of sedimentation in the past. "That information can be used to tell how the climate has changed throughout history and how the edge of the ice has moved. 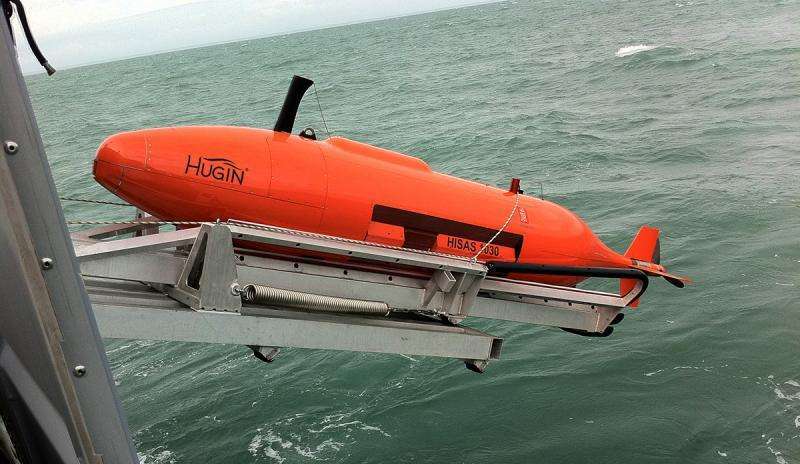 In addition, the AUV will have ultramodern equipment to measure ocean currents, temperature, carbon dioxide, chlorophyll, nitrates and oxygen, among other things." 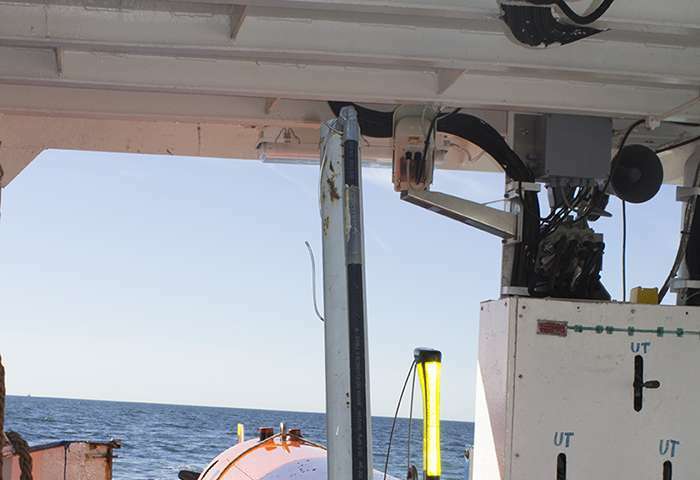 With the help of these instruments, scientists will be able to chart the ocean floor with such great resolution that they can determine the type of seabed, if it is clay or if coral grows there, and detect various types of phenomena such as contourites (convoluted sedimentary deposits on the seabed). By peering into the seabed and sedimentation, scientists can also study the climate thousands of years back in time, conduct detailed studies of ocean currents and their chemistry and biology, and survey large areas of the ocean covered by ice. This will help calibrate the satellites that measure the expanse and thickness of ice. The underwater craft also will be used for investigations of water closer to Sweden – in the Skagerrak and the Baltic Sea, for example. The Autonomous Underwater Vehicle is a national infrastructure, funded by a grant from the Knut and Alice Wallenberg Foundation and managed by a project team with representatives from the University of Gothenburg, Chalmers University of Technology and Stockholm University. The contract with the Norwegian company Kongsberg AS has now been signed. The underwater vehicle is expected to be in operation next year at the latest.